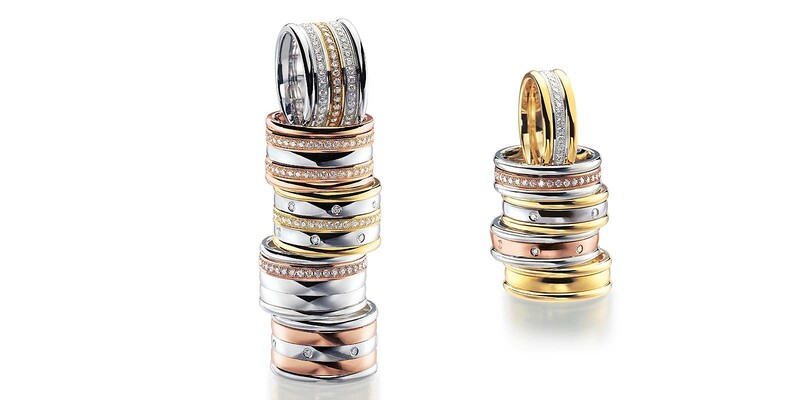 A modular ring with an invisible screw system serves as the base for your individual TOUCH-ring and the various connecting rings allow you to create your own modular combination. 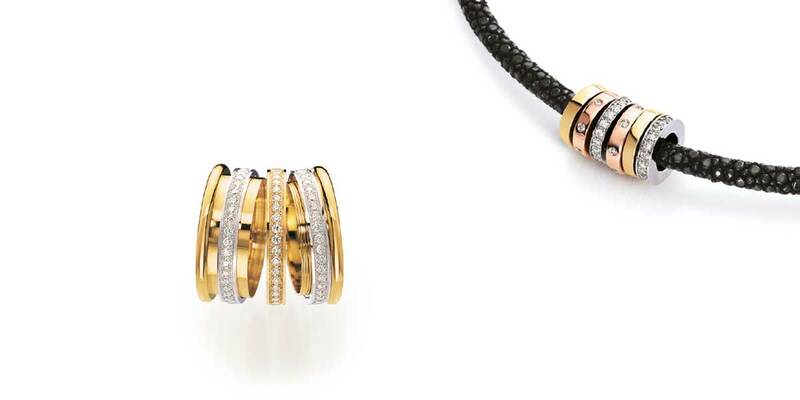 A similar principle is offered for our TOUCH-Necklace, in which the chosen pendant can be individually put on. Thus, each person can vary the pendant according to their own taste, whether they wish to wear an elegant diamond or decide on a sporty gold piece for a different occasion. 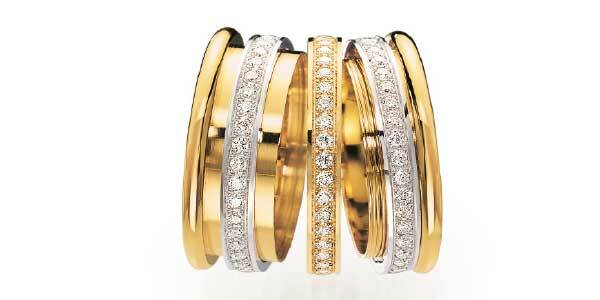 The rings are designed in three widths (7, 10 and 13 mm) and are available as wedding or friendship rings. A lot of technical detail work is involved in TOUCH and all the parts are manufactured exclusively in Germany. There are no limits to your imagination. 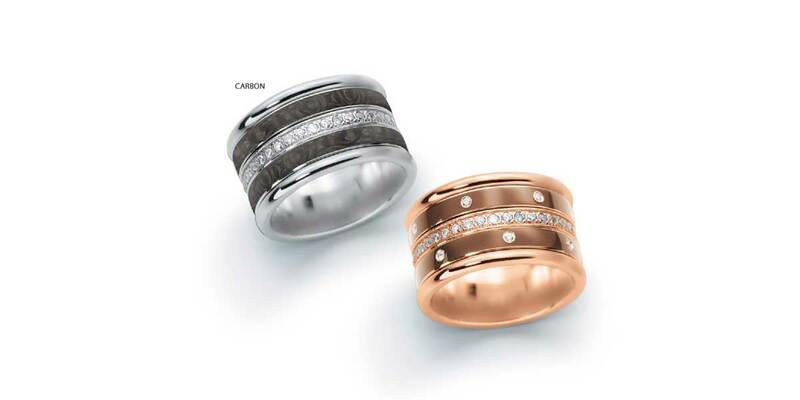 Design your individual TOUCH-Ring. 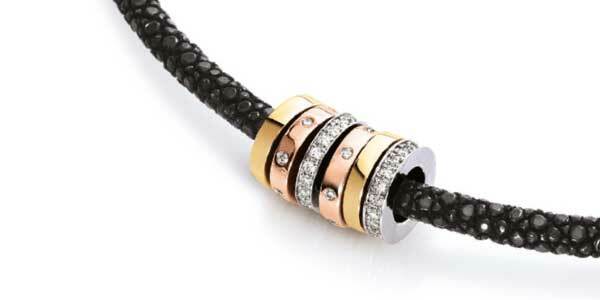 The TOUCH necklace consists of a stingray leather chain in 2 colours and up to 10 pendants - you decide for yourself!